A Strategic Masterclass, Blueprint, and Group Coaching For Ambitious Women to Create A New Career Vision in 2019. HAVE YOU STRUGGLED IN THE PAST TO SET IMPACTFUL GOALS? Are you tired of watching others grow their career, accessing tremendous opportunity, but you don’t know how to start moving yourself forward? Have you hit a brick wall and are you ready for exponential growth? Would you like to learn how to co-design your career and learn how to map your career path? Would you be willing to invest a few hours each week to set yourself up for a successful career in 2019? What Vision Are You Painting? Five Years From Today...You're sitting at the top of the mountain looking back at your career. You're a purposeful, formidable, and powerful woman who is positioned as an expert. You've tripled your earnings, you're able to give back, and you're paying it forward. You've become the leader you envisioned, you set big goals and actually achieved them. Now imagine if you did nothing today to paint your vision for tomorrow, would you regret it in five years? This powerful workshop is designed by women leaders for women who want to find your purpose, drive your career forward, and transform your vision. We help you build a strategic blueprint that answers four pivotal questions: What do you want? What goals do you need to establish? What challenges do you need to tackle? What strategies will you deploy to close the gap between the career you have now and the career you want? PART 1: What's Driving Your Goals? Defining Actionable Goals and Establishing Accountability. PART 2: What Assumptions Are You Willing to Challenge? Tackling and Confronting Your Inner Roadblocks. PART 3: What Will You Do to Build Resilience and Challenge the Status Quo? Critical Components of Communicating Your Vision with Power. PART 4: What Commitments Are You Willing to Make? Who Are Your Champions? Strategies to Build a Team to Champion Your Vision. Are You Ready for An Entirely Different Approach? 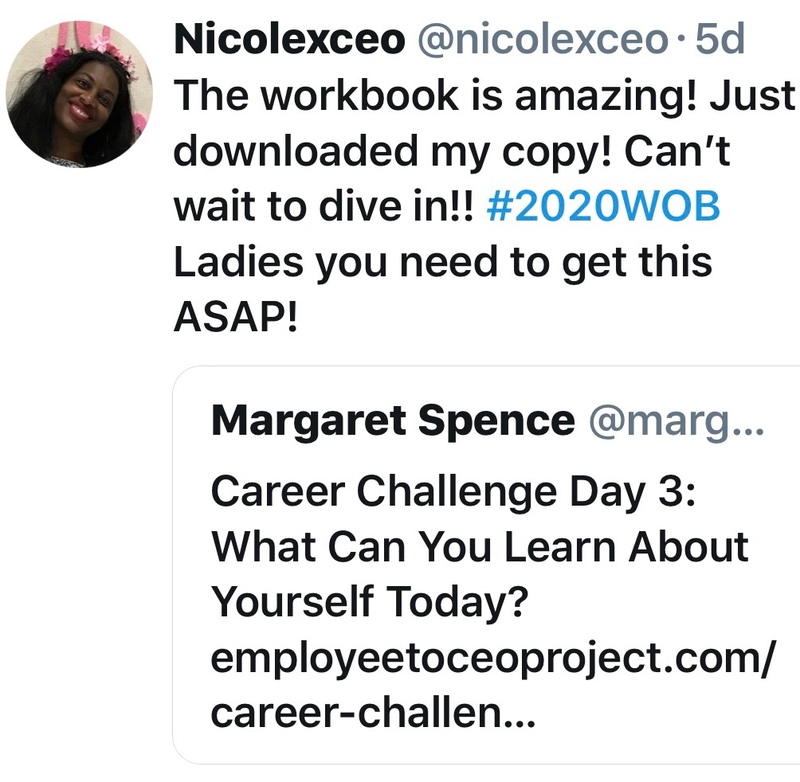 You have the ability to have the career of your dreams in 2019, but you must be willing to invest the time to create an action plan that firmly establishes you as a powerful woman leader? Despite past setbacks, 2019 is your year. This powerful goal setting women's leadership online training course offers student two participation options: You can study on your own or you can join us for five weeks of live coaching. Participants also get access to our private Facebook Group. Trying to decide which option is best for you? If you're a self-starter then register for the Course Only Option, but if you've failed to make actionable goals in the past and you want an accountability partner, join the live cohort. Yes, I'm Ready to Join & Kickstart My 2019 Strategic Career Action Plan. 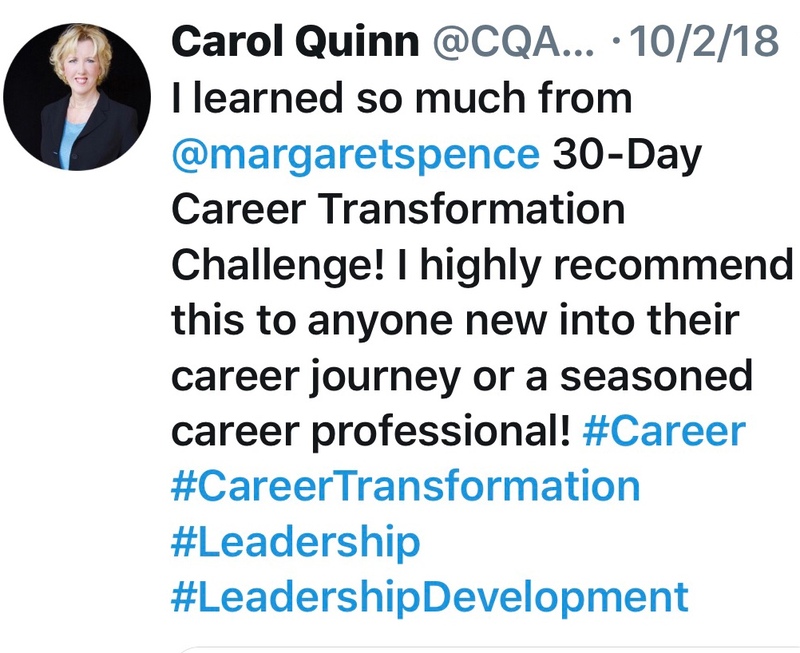 OUR GUARANTEE: Within 7-Days of Purchasing "The Ultimate Career Transformation Course" or after our first live call, you don't agree that it's worth every penny I said it was, I will promptly refund your money. Is My Payment Security Protected? Our #1 Priority is keeping your data, course information, and content safe. To build trust with our audience we are utilizing a seamless, secure, built-in SSL certificates, and we want you to feel confident that our course content is automatically served securely. Can I Upgrade My Purchase? Yes, If you want to upgrade your purchase from the Course Only Option to the VIP Program - just contact our office and we will send you a secure upgrade link. 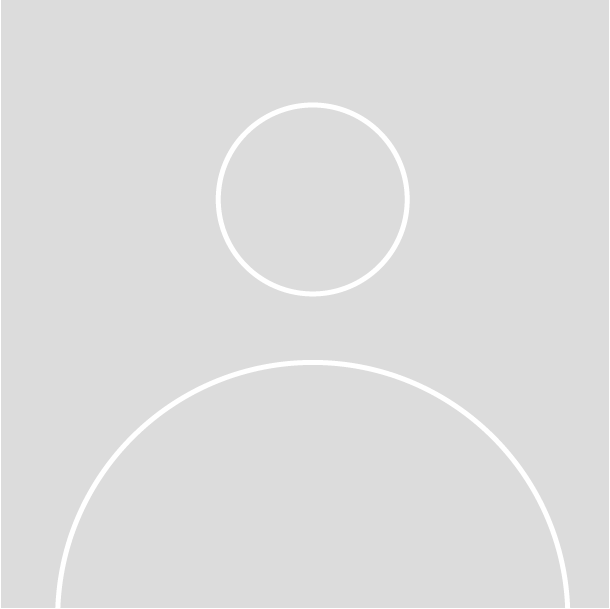 All payments are processed using Stripe and payable to C. Douglas & Associates, Inc. This will appear on your credit card billing statement. We do not retain any of your credit card information - it is housed with Stripe and maintained in their secure payment processing system. What Happens If I Am Unhappy With The Course? 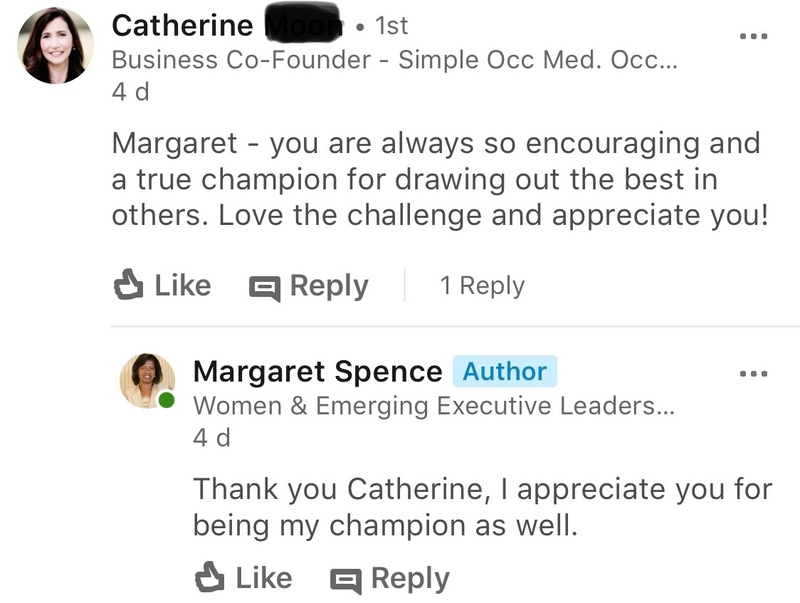 The Ten-X Leadership Academy and The Employee to CEO Project, founded by Margaret Spence and is a division of C. Douglas & Associates, Inc. We are based on West Palm Beach, Florida and we've been in business since 1999. Over the last 21-Years, we've trained over 8000 corporations and their leadership teams. We are now offering our signature training programs to individuals. If you have any questions about our programs, please contact our office at 561-795-3036 and schedule a time to talk directly with our CEO, Margaret Spence. 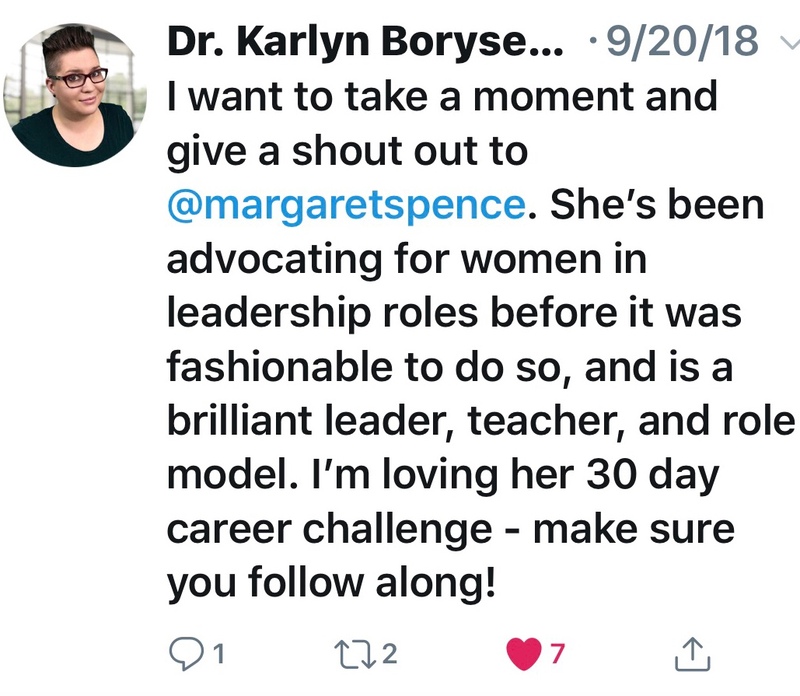 I work with women leaders to challenge limiting assumptions, question barriers to success, find resilience, and ignite your power to lead authentically. I help you manifest your vision, eliminate your blind spots, create transformation breakthroughs, build a strategic career action plan, and create a support network to achieve your leadership goals. 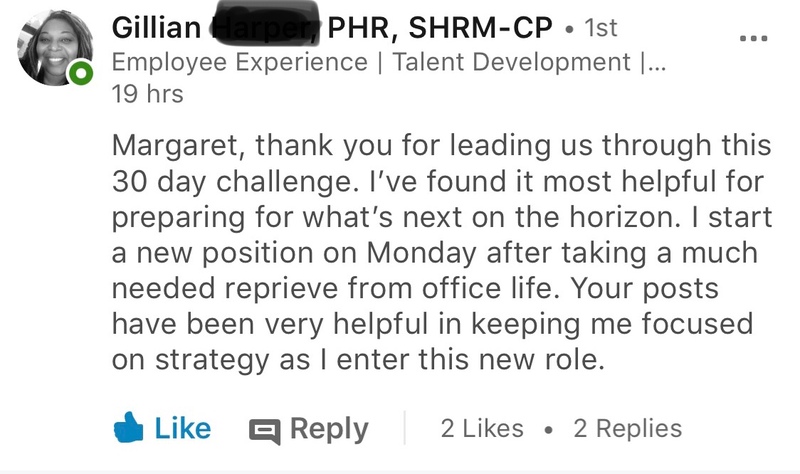 For twenty-one years, I've run a successful HR consulting practice, I've spoken at the SHRM Conference Seven consecutive years - earning a top-five rating among conference speakers. My singular goal, igniting you to take action to have the career you want. I am the author of - Leadership Self-Transformation: 52 Career-Defining Questions Every High-Achieving Woman Must Answer.